« Trademarks – too many breweries and too few names? Terrapin has best month ever! In July of 2013, Terrapin sold 4,030 barrels of beer. That’s 8,060 kegs. Or 55,533 cases. Or 124,930 gallons of beer. In only one month! What really brought the significance of this number home to me was when I realized it was more beer than we sold in all of 2002, 2003 and 2004 combined. Terrapin just sold more beer in one month than we did in our first three years in business!! So of course I started reminiscing about those first three years and how different they were. In 2002 we sold 162 barrels. Only Rye Pale Ale, only draft and only in Athens and some surrounding counties. I worked every day visiting retailers trying to explain why they should support this new beer of which no one had ever heard. Then I worked all night doing the books, taxes, arranging shipping etc. Spike and I talked on the phone every night at 9pm because our minutes were free after that time! It was a tough year but six months after we started the Rye Pale Ale was picked as the best pale ale in the country at the GABF! 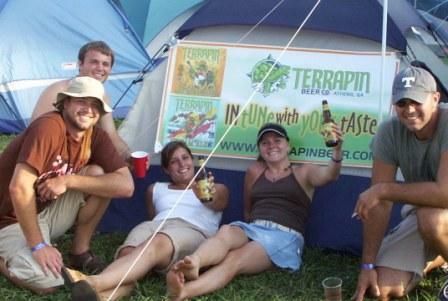 In 2003 Terrapin sold just over 800 barrels of beer. We launched into Atlanta, added the Extreme Cream Ale (anyone remember that one?) and remained draft only. By this point we were starting to attend some beer fests, music fests and other events to promote the brand. Our first two employees came on board; Dustin Watts (my right-hand sales rock-star) remains with us today. Still no pay for the founders, still working all day and all night, but people were starting to pay attention. And I got to hang in bars and call it work. Not too shabby! 2004. A breakthrough year for Terrapin. Bottles are released midyear and we produce over 2,700 barrels. 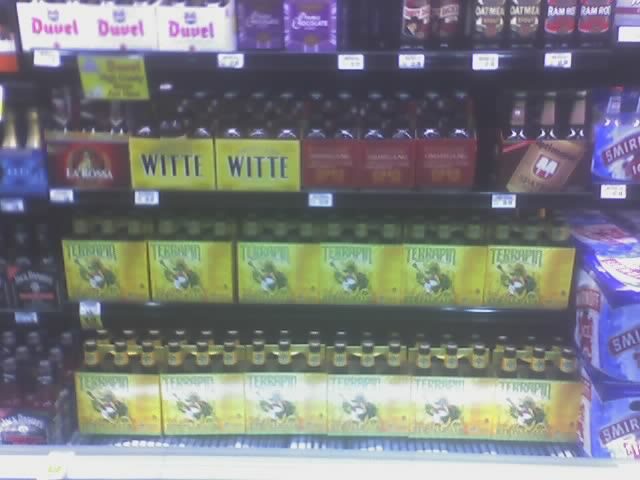 Terrapin is now available throughout GA and starting to expand. By this point I’m working 18 hour days, 7 days a week and loving every minute of it. It seemed like every weekend was a beer fest or music fest, usually with the family tagging along. I could not have done this without their support. My wife Irina was at every fest and supported my much more than full time, non paying job. Yeah, those were the days. Finally in bottles! Nice set at Kroger Alps in Athens. Terrapin today? 43 full time employees, 30+ part timers, 22+ different beers per year in 10 different states. We are small enough to think of our selves as a large family but big enough to offer our employees insurance, 401k match and a profit sharing plan. Personally, I’m still traveling, meeting new people, hanging out in bars and having fun. Best of all, I’m getting paid now. Great article John! Congratulations. I miss the brewery everyday. Do you and Spike need more community or media relations help? What about publicist or r event planning or tour manger or toilet cleaner?? I’m for hire 😉 I’m done with my military service next summer and looking for my next job…. Keep me in mind! John & Spike….we go back a ways you see. I remember when I was the On-Premise Sales Manager in 2003 at that beer distributor in Atlanta when these two came and asked us to distribute thier beer. I told them we would and try to promote Terrapin as much as possible. John is right, we did not make any money either then on the few barrels we were selling. However, we kept pushing with our new “little” Terrapin beer on tap. It was a fun and these guys were great partners with us. It is hard to believe you have taken it this far guys…….CONGRATULATIONS! Yeah, those were fun times. We do have some stories to tell about those early days, don’t we? 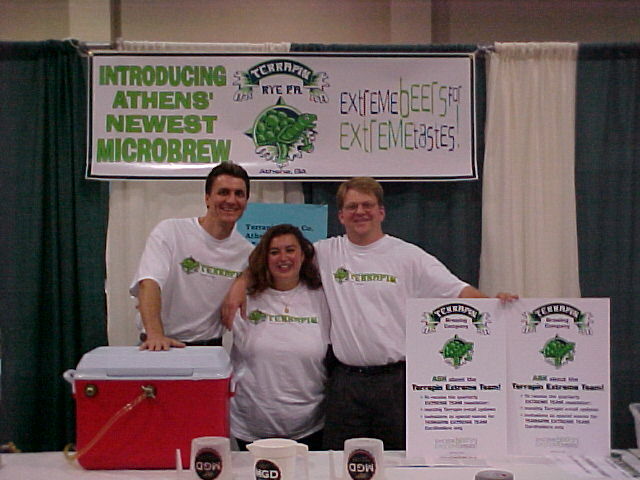 Nice to see a home-grown Athens business enjoy so much success! Thanks. It’s been a lot of hard work and we could not have done it without everyone’s support. John, Wow. What a story. I am very happy for you and Irina, and I love your beer. Hope to meet up with you at one of your events if I ever get back to GA! Eric, Sounds great. It has been one crazy ride for sure.